If you love to dance and are passionate about starting up your own dance fitness class or program, we can offer you the opportunity to make your dreams come true! 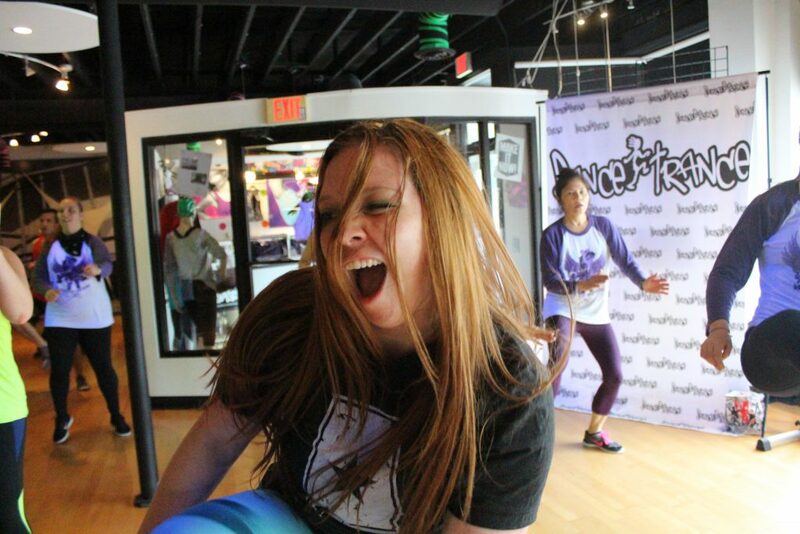 Dance Trance is a unique well-structured program that can help bring out your dance diva! Dance experience is not required to be able to teach this program. You will need a passion for dance, love of music and the ability to lead a group. A fun, outgoing, bubbly personality is the best for attracting students. You cannot just get a certification to teach Dance Trance. We require that you purchase a license that will direct you on how to set up a successful program instead of just a class. This is the quality difference in our program and just a certification that thousands of people get every weekend. The license program is available for individual purchase. Once you purchase the license to teach and use the Dance Trance choreography, you may set up your program at any facility you choose (that doesn’t fall into another location’s mileage restriction). This can be a gym, dance studio or your own studio. What if I change locations? If you move or re-locate, the license belongs to you, so it goes with you. You only have to worry about restrictions around existing locations. The initial start up license fee ($2500) is good for one year, one location and up to 10 instructors working under your license. Multi-site licenses are available. How much is it after one year? Renewal rates are $1800 per year and guarantees you get the latest choreography updates and access to our workshops ($500 per person). How do I learn the choreography? Our start up package includes at least 12 fresh new routines that are broken down for you. You will break down the songs for your students like we do in the video. We recommend that you use 5-6 simple routines for your studio start-up class. Our professional video streaming site makes learning easy and portable. Can I do my own routines? We believe in individual creativity so we do not restrict our instructors from teaching their own styles or routines. If you create some routines on your own, they are to be used locally only and are not considered part of the Global Dance Trance choreography that is released quarterly. We suggest however, that you use Dance Trance choreography and format for the majority of the class because we have a very high success rate for retention and building a large student base. Includes: Program Manual, Instructor manual, Media Disc, access to our start-up video site director’s site & quarterly updates with 3 or more brand new routines. License members also get full access and free classes at the DT Jax studios and invites to our instructor workshops & special events. To get the full experience of a Dance Trance class or model program structure, we suggest you arrange a visit or attend a special instructor workshop at our home-base studios in Jacksonville, Florida. Contact us at info@dancetrancefitness.com or call 904-571-7984 for further information.